The words of civil rights leader Ralph Abernathy hung in the air as the Rev. Al Sharpton addressed a crowd gathered at the Tishman Auditorium on the last day of Black History Month. The American civil rights activist, Baptist minister, and television/radio host made his remarks at “Al Sharpton on Social Justice Today”: The 2017 Henry Cohen Lecture Series, a discussion of key issues affecting civil rights, social justice, and criminal justice reform in New York City and nationally. The event was hosted by The New School; the Milano School of International Affairs, Management, and Urban Policy; and Maya Wiley, senior vice president of social justice and Henry Cohen Professor at the New School. Named after Henry Cohen, the founding dean of Milano, the Henry Cohen Lecture Series is devoted to advancing social equity in America. This year, the series will examine how to advance political, social, and economic inclusion in the context of the presidency of Donald Trump. In the spirit of the series, Sharpton spoke of the need for a broad and radical approach to confronting civil rights abuses. Sharpton spoke of the right of transgender individuals to use the bathroom corresponding to the gender with which they identify. 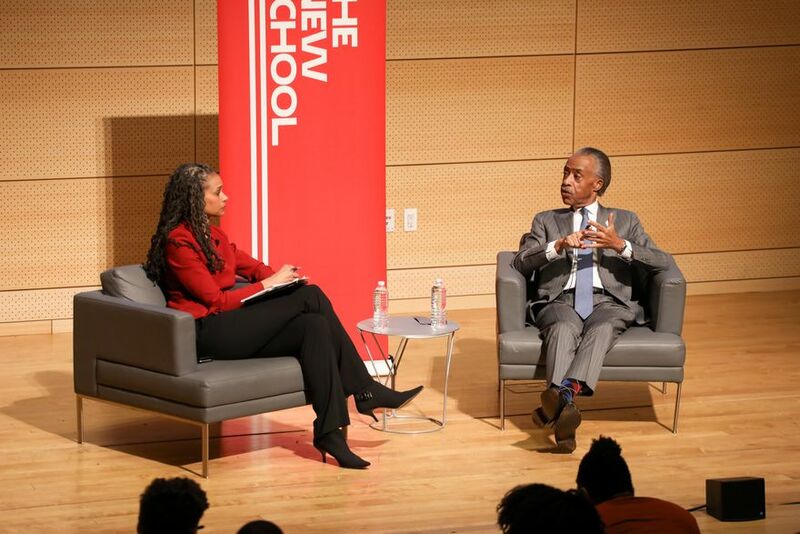 Following his speech, Sharpton sat down with Wiley to answer questions about his experience finding his way to the civil rights movement, confronting homophobia in the black church, and the intersection of family life and protest movements. Wiley recalled how, growing up, family activities “meant a sit-in or a rally” organized by her activist father. Wiley went on to ask Sharpton about how New School students could build activist movements in the wake of “an incredible expansion of protest” sparked by the 2016 presidential election.